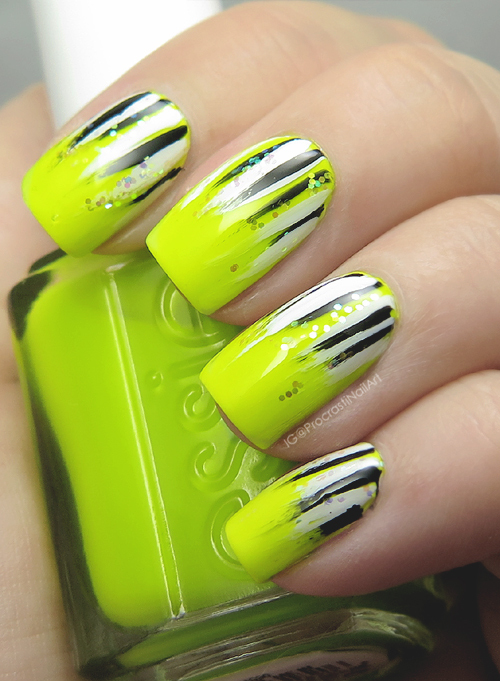 Have you heard lately that I am in love with Essie's 2016 Neon Collection? No? Well, I'M IN LOVE WITH ESSIE'S 2016 NEON COLLECTION! I want to use all of the shades all the time! Ahhh! 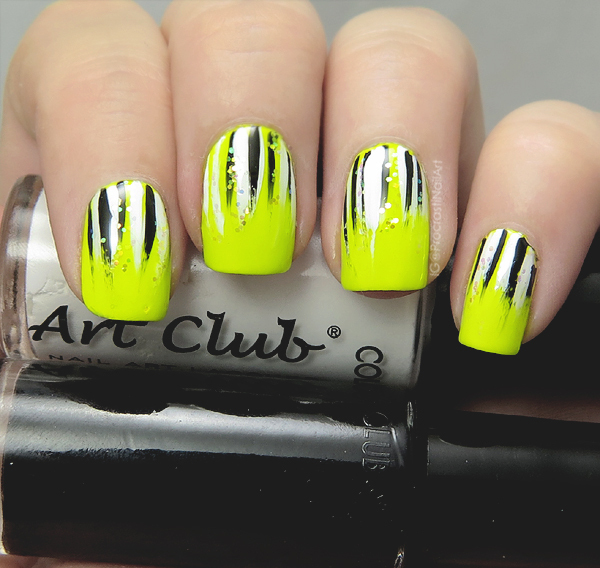 Today I pulled out Essie Stencil Me In (a neon chartreuse yellow) and added a bold black and white waterfall for some fun with contrasting. :) Woowoo! I did two coats of my base neon over white undies, and then I used my trusty Color Club Art Club Stripers in Black, White and Iridescent Glitter to do the waterfall pattern. Originally I was also going to use a turquoise but decided I really liked the bold statement of just using black and white instead! Can I just say one more time how much I love this colour? I LOVE THIS COLOUR! I super love how these nails turned out and I was so sad to have to take them off. I think this is a shade that will get a lot of wear from me in different ways well into the fall! Not a fall colour? Don't care! Such a bold bright design.